An avid reader trying to juggle work - life balance. Her bookshelves are more organized than her closet. Aspires to be a librarian when she grows up. It was a wonderful year in books. Unfortunately I did not achieve the 100 books a year target - managed to get to only 59 - but I read some great stuff that year. Probably among the best books that I've read in my entire life! This was also the year that I had appreciation towards historical fiction - especially stories set in World War II. Naturally, I read a few books from my favorite authors Paul Auster, Agatha Christie and Jeffrey Archer but I discovered many new authors - which I will definitely read more of their works in future; authors like: Maggie O'Farrel, Pam Jenoff, Sebastian Barry, Julie Orringer, Paulina Simons, Jed Rubenfeld, Tatiana de Rosnay and Muriel Barbery. Some of the highlights of 2011: Find reviews of these books at the navigation tabs below the blog header. My focus in life shifted when I had a baby last year. I am sad to report that I only managed to read 7 books. But one thing that I am glad is that I finally got to read Anna Karenina by Leo Tolstoy. I put off reading that book for the longest time because of the size but I was away from work for 2 months at that time and seemed like a good time to pick it up, so I did and enjoyed it very much. And oh, I discovered Kate Atkinson too and I just love her wit! Anna K is an amazing book, isn't it? I finally got around to reading it just recently too, and now I want to get my hands on everything else Tolstoy wrote - including *gulp* War and Peace . . . ? Maybe? It's so huge, I'm scared. You have some other authors here I'd like to try, like Paul Auster and Maggie O'Farrell. 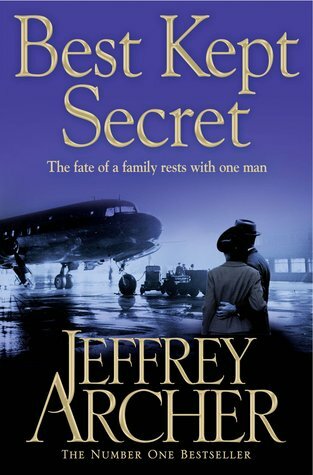 This is the third novel in Jeffrey Archer's compelling saga, the Clifton Chronicles. 1945. The vote in the House of Lords as to who should inherit the Barrington family fortune has ended in a tie. The Lord Chancellor's deciding vote will cast a long shadow on the lives of Harry Clifton and Giles Barrington. Harry returns to America to promote his latest novel, while his beloved Emma goes in search of the little girl who was found abandoned in her father's office on the night he was killed. When the General Election is called, Giles Barrington has to defend his seat in the House of Commons and is horrified to discover who the Conservatives select to stand against him. But it is Sebastian Clifton, Harry and Emma's son, who ultimately influences his uncle's fate. In 1957, Sebastian wins a scholarship to Cambridge, and a new generation of the Clifton family march onto the page. After Sebastian is expelled from school, he unwittingly becomes caught up in an international art fraud involving a Rodin statue that is worth far more than the sum it raises at auction. Does he become a millionaire? Does he go to Cambridge? Is his life in danger? Best Kept Secret will answer all these questions, but once again, pose so many more.